Can’t let the day go by without mentioning last night’s Delta Flight 126 from New York’s JFK airport to Madrid, which was clearly the subject of a dry run for Islamic terrorism. An attentive federal air marshal did the right thing, and now he’s being pilloried for it by the flunkies at ABC News, including the network’s incompetent, effeminate former FBI agent, Brad Garrett. There is a reason–several of them, actually–why everyone in the know calls his former agency, “Famous But Incompetent.” He’s Exhibit A. He was not on the plane, and if you read the facts, something was clearly going on. I mean, is it normal–on a flight with a lot of fuel–for a Pakistani Muslim passenger–to go into the plane’s bathroom, leave frayed wires with straw put over them, and then for a woman to feign some sort of health crisis at the same time as a diversion? No, not normal. And the people on that flight should thank their lucky stars that a competent air marshal was aboard instead of an incompetent ex-FBI desk jockey of the Liberace flavor. ‘Cuz, hey, terrorists would never ever try an attack on a plane headed from New York, right? Delta Flight 126, which left JFK airport at 8 p.m., was about 45 minutes into its trip when a federal air marshal saw a Pakistani-American man exit a lavatory. Inside the lavatory, the air marshal found two short pieces of wire with their ends tripped off, covered by a piece of dark straw. The marshal concluded, wrongly, that that they could be components for a bomb. Hey, ABC News reporters are now bomb experts! At the same time, a female passenger from Argentina began to have breathing difficulties, and other air marshals thought, again wrongly, that she could be a decoy, meant to distract the crew while someone else assembled a bomb. And ABC news is now trained in terrorism and medical diagnostics sight unseen! They know better than both the air marshal and the pilot. YAY! The plane turned back toward JFK, first telling passengers there were mechanical difficulties but then admitting there was a “security” issue. 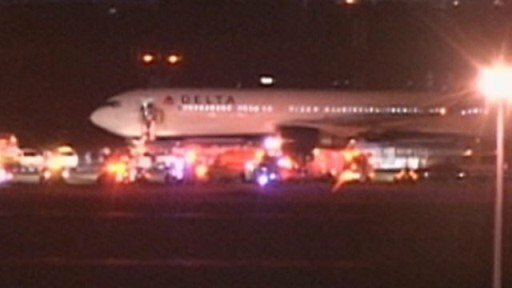 After an emergency landing, the Delta jet was directed toward an isolated area. Passengers looked out their windows and saw firetrucks, security trucks and personnel in HAZMAT suits. The SWAT team stormed the plane, finding nothing. The 277 passengers who had been evacuated from the aircraft were finally allowed to proceed to Madrid just before 4 a.m., nearly 8 hours behind schedule. . . . Though in the end there was no real threat, federal air marshals are trained to react precisely as they did Thursday night. They are trained to look for teams of terrorists and decoys, and told that terrorists may sneak bomb component parts on board to be assembled in washrooms. But, hey, who cares about training? ABC News and Brad Garrett know better! And ignoring every single sign of actual Islamic terrorism, as is the ridiculous Brad Garrett and his ex-agency, is what gets Americans killed. Yup, it’s normal for Muslim passengers to leave cut wires covered by straw in airplane bathrooms, right? Doesn’t every passenger do that? And have a woman start having health problems as a diversion at the same time? Yup, that always happens. Whatta coincidence! BTW, investigators told the New York Post that the incident is still under investigation and that, indeed, the wires might be bomb components. Whoever this federal air marshal is that was on that flight, he’s a hero. And he did exactly what he’s supposed to do. The passengers who survived because he was on board should thank their lucky stars. Oh, and by the way, Brad Garrett–about whom I’ve written before–has almost zero experience investigating Islamic terrorism. So, he’d be best advised to drink a nice, tall glass of STFU juice. Oh, and I’m sure the two passengers in question were released into the great abyss, not investigated, and free to conduct the same ruse again. Either way, they tested the system and saw the likely response to their nice little skit. If Brad Garrett had been aboard instead of the FAM (federal air marshal), maybe no one would be left to talk about it. I am so sick of the lamestream media second-guessing the trained air marshals and trained airline professionals who were actually ON THE AIRPLANE and personally WITNESSED what happened. More than that, I think NBC is complicit with the Obama administration and CAIR in trying to make we the sheeple believe that the CAIR bears are just peaceful, Middle Eastern guys trying to peacefully practice their religious beliefs to the best of their ability and the mean old air marshals are getting in their way. Well, I say “Thank God” they are there getting in the way! I hope my next flight is FILLED with air marshals! On Monday, I was flying from Atlantic City to Detroit. The plane we were scheduled to fly was coming from Tampa was delayed. One of the 1st passengers off was near me and stated “what a flight from hell” I said “Ive been waiting for your plane to arrive, so I can get home. What happened?” she then said it started with weather delay, then a middle eastern man went into the bathroom and was smoking. They removed him from plane, then his female travel companion was having a problem trying to call someone about him being removed. They tried to help her use her phone and finally escorted her off also. (why they did this, I don’t know). I ended up sitting next to a woman on the flight that had been on the original leg of the flight and she confirmed the story. My first thoughts were dry run. I don’t know if they were getting off in Atlantic City or if they were suppose to continue to Detroit. The federal government declared the War On Terror is over. No wonder no takes this seriously. Islam, you say? What Islam? There are no Islamic terrorists and no “dry runs!” Its all a figment of Debbie Schlussel’s overactive imagination. But for those who don’t accept this nonsense, the danger is very real. Just because the mainstream media dismisses its existence doesn’t make it so. And that goes double for the Famous But Incompetent who as usual, don’t have a frickin’ clue! America – desperate but not serious in the fight against Islam, Islamic terrorism and all the real-life “dry runs” would-be Islamic terrorists test out to see if they can kill more Americans in the future. We were all lucky last night! Tomorrow, who knows? Stay tuned. NormanF: If the USA has declared that the War on Terror is over, why don’t they abandon the TSA and fearmongering. It appears that Israel is the ONLY country fighting the War on Terror. This being the case can anyone explain the Muslim bombing to-day against a bridal party with 22 dead, a massacre. Is this par for the course and considered ‘normal behaviour’…. Israel is the 4th strongest army in the world, equipped with the best American made fighter jets, tanks, and nuclear weapons. Palestinians, the poorest people on earth who possess no war planes, no navy, no tanks, no army period. How brave of Israel to send in their courageous soldiers with M-16’s and teflon vests to protect themselves againsts Palestinian rock throwers. 1. Palestinian Arabs may be poor, but not for lack of money. They have received billions in aid from numerous countries, including ours. Most of it has been pocketted by their corrupt leaders. 2. Not only do the Palestinian Arabs have an army, but it numbers some 40,000, and is armed by the U.S. and Israel. It has received years of training by U.S. military experts, and possesses many sophisticated weapons and vehicles. And don’t forget the thousands of home-made and Iranian-sourced missiles that can reach major Israeli population centers. 3. Your “rock-thrower” heroes have often wounded and even killed Israelis, both soldiers and civilians. Many of these heroes are children sent by their parents to be “martyrs”. 4. The use of human shields, many of them children, by Palestinian-Arab combatants is well documented and common. It violates international law. In spite of efforts to minimize civilian casualties, Israeli forces have been unable to avoid all such casualties. Missile launch sites (which intentionally target Israeli civilians, btw) are often within populated areas. Another violation of international law. 5. The numbers killed is irrelevent. Would you suggest that America could only have killed as many Japanese in WWII as the Japanese killed Americans? We’d be part of the Japanese Empire today if that were true. Jews will no longer allow themselves to be helpless victims. You’ll have to deal with it. Those bent on our destruction make sport of us with their multiple dry run provocations. And why wouldn’t they mock us? Here we are showing a dodge the bullet contentment when up against kindred spirits of the 9-11 beasts. As if the frying pan were a sauna needing only a slight downward temperature adjustment. Damn! I meant to start my post with: @NormanF, kindred spirit. These are not dry runs. These are disruption techniques to cause money and fear. 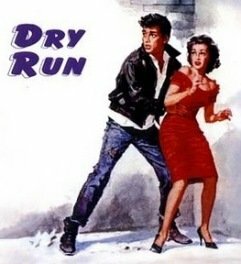 While it may be true that they will serve as dry runs, that is not the intent. It is too make the kafir fearful of Muslims, like threats against publishers, newscasters, Christian and Jewish officials, etc. It is actually taught at Friday classes. The Muslim perps are also taught they will suffer no consequences….because of the same fear, this time of politicians and the community, by the arresting agency. The thing is they don’t need to target planes, if you are a jihadist all you have to do is blow up infidels and you go to heaven (or so they think). They just target planes because of how horribly spectacular it is and how it hits us in so many ways, inconvenience and expense of ‘theater’ security etc. I mean what is stopping a jihadi in America from blowing up a cinema, bar, restaurant, a university canteen, a bus, a bakery, a shopping market? (all these have been targeted by jihadist bombers in Israel and the Middle-East). I hate to say it, but I think it’s just a matter of time before targets like the above, which are easy to hit, are hit. I am inclined to agree pat. The Muslim prophet Mohammad was an evil child molester and evil supporter of slavery. Anyone who follows him is also evil. every time some thing like this happens or urban maggots attack tax payers i can’t help but think that those tax payers will not vote for liberals in november.if we can get rid of the liberals, we can also get rid of the ragheads by out lawing pisslam and communism.when the ragheads start acting like the low life scum they are,this will help us get rid of more liberal traitors and replace them with conservitives who will land on the ragheads with both feet.remember it was liberal traitors who in 1965 under the guise of immergration reform allowed turd world low life into america. Consider that quote from ABC. ABC is saying that no wire could ever be used in a bomb. No bomb ever contained a wire. ABC (and the others) will say anything to advance their agenda. Brad Garrett says what he says because he wants to keep his high profile media position. The minute he even questioned the prevailing view, his days on the air would be numbered and he knows it. He will never give the network cause to demand the return of its 30 pieces of silver. Had this plane mysteriously blown up in mid-air, the incident would have been dismissed as an accident. Officials would immediately have taken to the air to say that they don’t know what caused this, but it certainly wasn’t terrorism. After a two year investigation, there would have been an official report blaming the explosiion on “pilot error,” “faulty wiring,” “mechanical failure,” “George Bush,” “Bain Capital,” etc. etc. It would have ended up like those plane crashes in the late 1990’s – TWA 800, Egypt Air, etc. – all of which had some “reasonable” explanation imposed on them after the fact. Since when do Muslims dislike burning babies? According to the Vatican, Jesus was killed by a Roman. Do you have any extra info on the subject you’d like to share? ZING!!! That was a GOOD ONE!! POW!! POW! ROC ‘EM SOCK ‘EM…right outta’ da park! TAKE THAT eagle-shitz! If you believe the story, we all killed him, via our sins. Yep, we’re too complacent these days. Again. Good thing we’ve got the great TSA. No passenger on airplane today is in the least complacent. In fact, since 09/11, there have been more bombers stopped by passengers than Air Marshals. It is highly unlikely that there will ever be a successful airplane bombing again. The highly non-complacent passengers will prevent it. Thank you for the post, Debbie. Darn it. The [s] [/s] was supposed to represent a strike out of the words in between. Well, I’m assuming that with this explanation that everyone will know what I meant. The pro-Islamic slant by the networks is about $$$. All of the networks are conglomerates each being connected with movie studios. They pimp themselves out in the hopes that 1.2 billion Muslims will pay to see their movies and not boycott them. Of course, in the developing world, most movies are seen on bootleg dvd’s. Putting it bluntly, they are selling their country for 20 dollars for silver. “nice tall glass of STFU juice”, priceless Debbie. Good one. What else can you expect from the All Barack Channel. Brad Garrett is your typical libtard newsperson in the sense that he will keep the status quo on Islamic terrorism. Some one should tell this moron that’s is why it’s called a dry run When (God forbid) a plane does go kaboom these same morons will be just like their like minded frends in the present administration blaming everyone else but the scumbag terrorists. Debbie I think that we might needs a few kegs of STFU juice for all of these nitwits. It says in the video that you posted that it was the Port Authority police, NYPD Bomb squad and the FBI who determined that there was no threat, not Brad Garret.